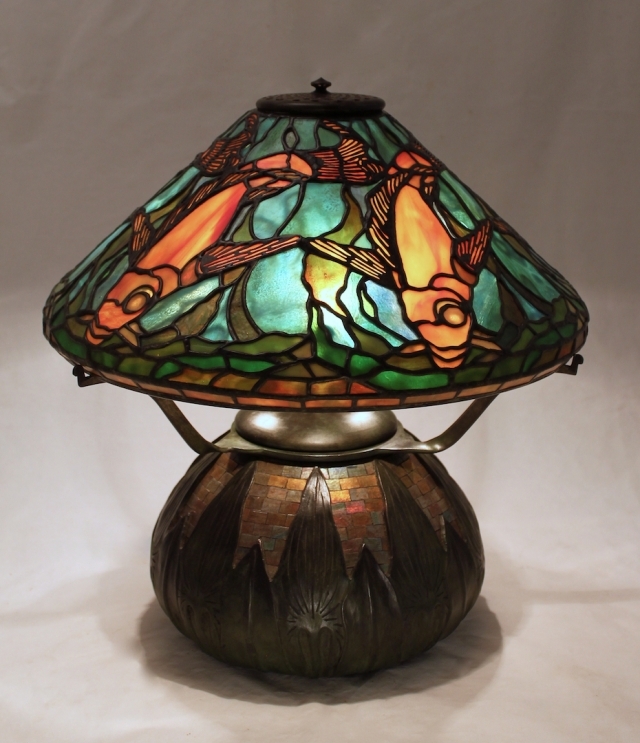 Commissioned by a West Coast client, this colorful 16″ Fish shade was made to mate with our new Arrowhead Mosaic base. 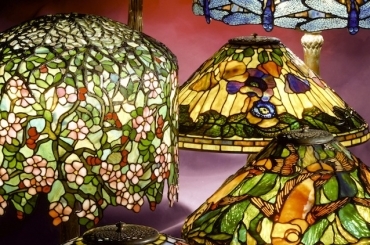 The rich oranges and greens of the shade are reflected in the color of the glass mosaic on the base. The client requested a rich brown patina with very little green on the bronze base.